Multi-Location dealerships have their challenges. Digital marketing is no longer one of them. Handles one or multiple P&L’s across storefronts. Lead acquisition and distribution across all your channels. Manage all physical location data in one place. 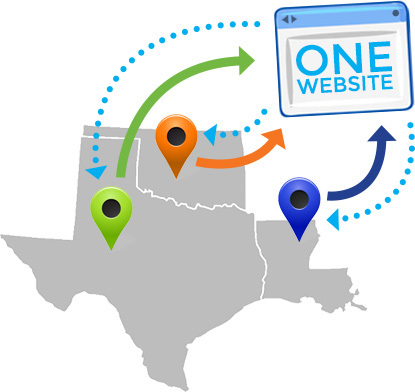 Manage multiple location websites in one place. Manage multiple ‘micro-site’ websites in one place. Choose to share or not to share product across locations. Enterprise level RV dealership custom solutions.